Gone is the time when five sugared almonds were deemed to be a wonderful choice as a wedding favour. 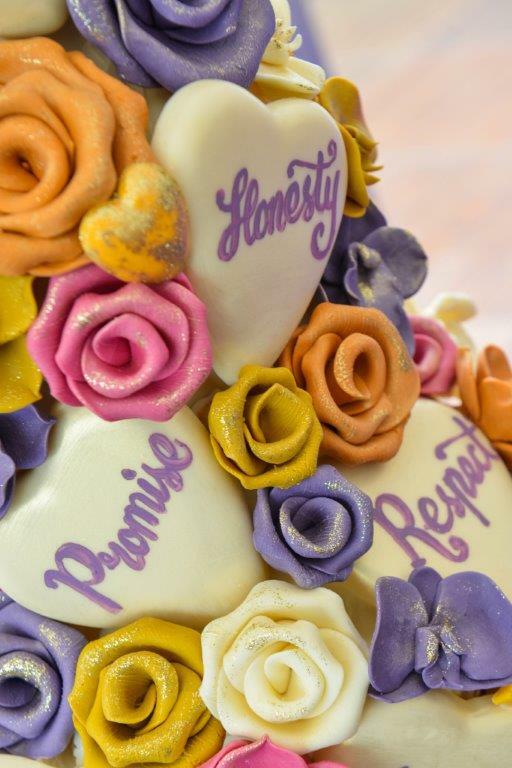 However, while a bag of sugary delights may seem quaint, the idea behind why they were given can provide inspiration for a unique thank-you for your guests. The key to creating a WOW wedding element though is to offer personal wedding favours. The tradition of giving a small gift (bomboniera) to guests on special occasions dates back hundreds of years. In the middle-ages, when almonds became the gift of choice, sugar was expensive. Only the wealthy could afford such luxuries and therefore wedding favours were confined to the European aristocracy and upper classes. However, as sugar became more affordable, the tradition began to spread. Odd numbers are considered to be lucky and five almonds were given to represent health, wealth, fertility, happiness and longevity. Over the years the tradition of wedding favours has grown to become both a thank-you and a keepsake, giving guests something to remember your special day. Now many couples match their choice of wedding favours to the theme and décor of their wedding reception. And you can extend this personal touch to present personal wedding favours your guests will love. 1. Spread the love – Reminding guests of special moments in their childhood can warm the coldest of hearts. And what better way to do this than to go retro with sweets of yesteryear. Swizzles Love Hearts are a fabulous choice, because they span the generations and can be customised by the factory with any message you choose. 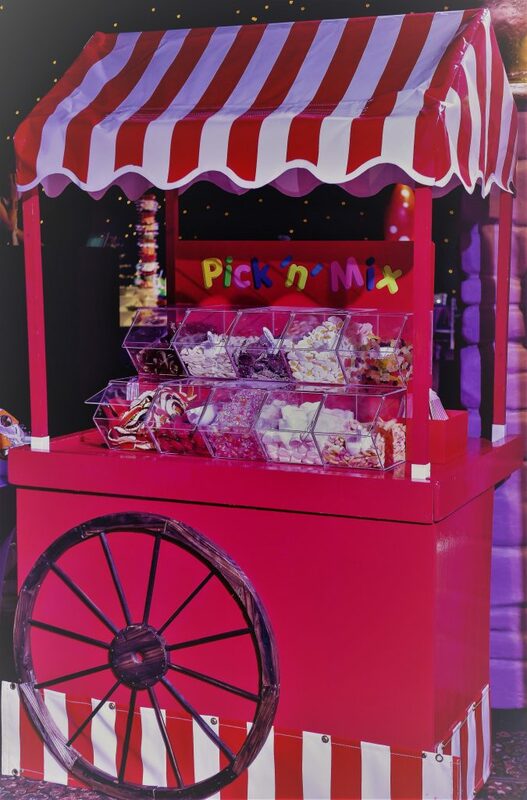 Or offer a personalised gift bag which can be filled from a retro pick ‘n’ mix cart – full of childhood memories! 2. Your love is a rock – There are many ways to acknowledge this time old phrase. I’m not suggesting you stretch the budget to precious stones, but there are edible treats, like personalised sticks of candy rock, that can bring the same sentiment with an element of fun. 3. Stay sweet – Sugary treats are a great way to keep with the age-old tradition. There are all kinds of wonderful bride and groom style edible treats. Chocolate flower bouquets are a beautiful choice to brighten any table. While, cookies and chocolate decorated with personalised icing can double up as place settings. 4. Wish ’em luck – Newly-weds have always been a symbol of love and luck. In keeping with this tradition you could buy each guest a lottery ticket, wrapped and presented in a personalised gift envelope, in the hope that some of your luck will rub off onto them. 5. 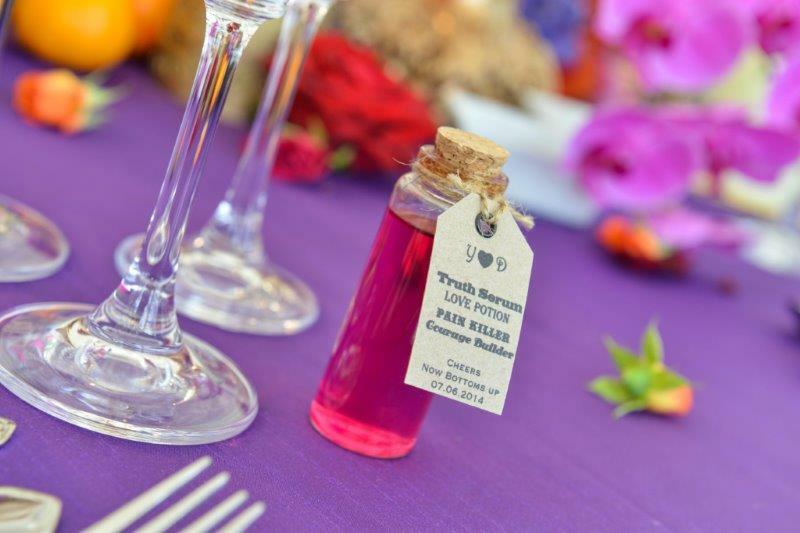 Drink to it – Miniature spirits are popular wedding favours, particularly for male guests. And while it sounds run of the mill, there are many ways that you can take this simple yet popular idea and personalise it. For a truly personal touch, hire a mixologist to visit each table and concoct your guest’s drink of choice. Then mix enough for two, serving one drink and bottling up the other to take home. Liqueurs can be a fabulous choice to take home. And there are lots of fantastic antique-style bottles on the market that can be packaged up and labelled with your names and the date of your big day. 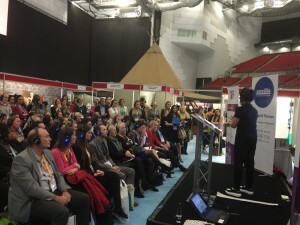 CHS16 in Leeds – What a Day! It was standing room only at CHS16, as Liz took to the stage. 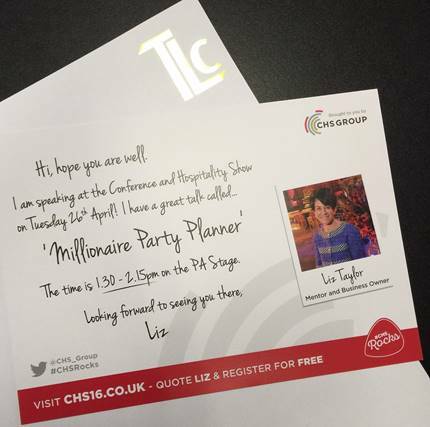 The Millionaire Party Planner kept the audience riveted through her 30 minute presentation – with stories of her 30 year career, the role of celebrities in events, the power of PAs and the importance of great venue relationships. 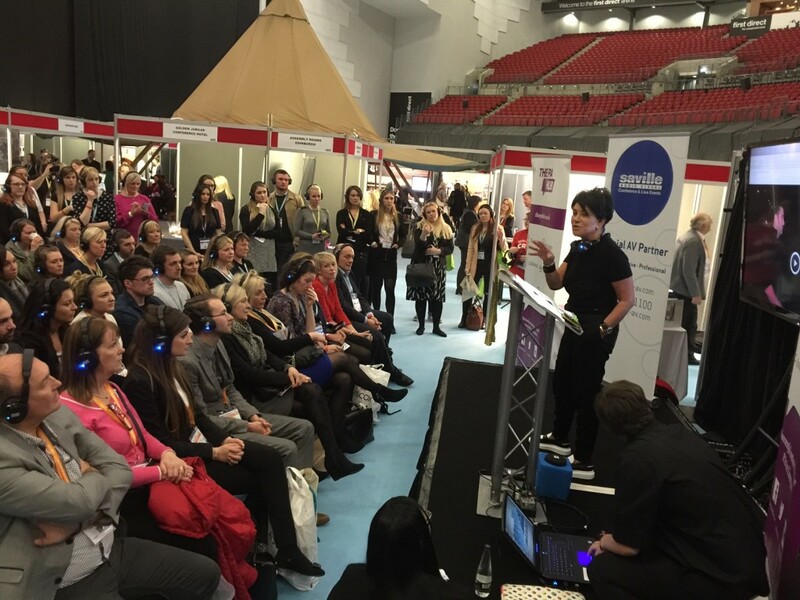 I am thrilled to be a guest speaker on the PA Stage at CHS16 next week (26 April). I will be sharing an insight into the work of TLC, my 30 year journey through the industry and where I see event management heading. Of course, there will be one or two anecdotes and lively moments thrown in, plus a look at the type of detailed planning we undertake for our events…after all…The Devil is in the Detail! 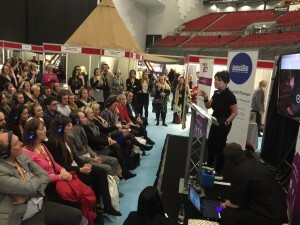 Log on to www.CHS16.co.uk and quote LIZ to register for a FREE place. See you there!